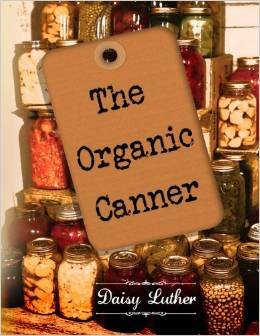 Copyright The Organic Canner and Daisy Luther. Feel free to share this information in full or in part in digital form, leaving all links intact, with full attribution to the author and a link to www.theorganiccanner.com. Please contact me for permission to reproduce this content in other media formats. The Organic Canner website is a participant in the Amazon Services LLC Associates Program, an affiliate advertising program designed to provide a means for sites to earn advertising fees by advertising and linking to Amazon.com. The content on this site is provided as general information only. The ideas expressed on this site are solely the opinions of the author(s) and do not necessarily represent the opinions of sponsors or firms affiliated with the author(s). The author may or may not have a financial interest in any company or advertiser referenced. Any action taken as a result of information, analysis, or advertisement on this site is ultimately the responsibility of the reader. The onus for your family’s safety is upon you. This is only a guideline, and the way that I preserve food for my family. Because I cannot predict every single ingredient of every single recipe a person might wish to can, I can’t give you a comprehensive list of "dos and don’ts". Botulism is no laughing matter – it can kill or paralyze you. I believe that you possess the good judgment and ability to look up your separate ingredients and omit them if they should not be canned. It’s not worth risking the health of your family.